Travel Minimalist Blogger is a responsive WordPress blog and news theme made for bloggers and newspapers. Its elegant and minimalistic look make its an attractive theme for writers who wish to write about their view on food, fashion, travel, clothing, movies or their lifestyle in general. 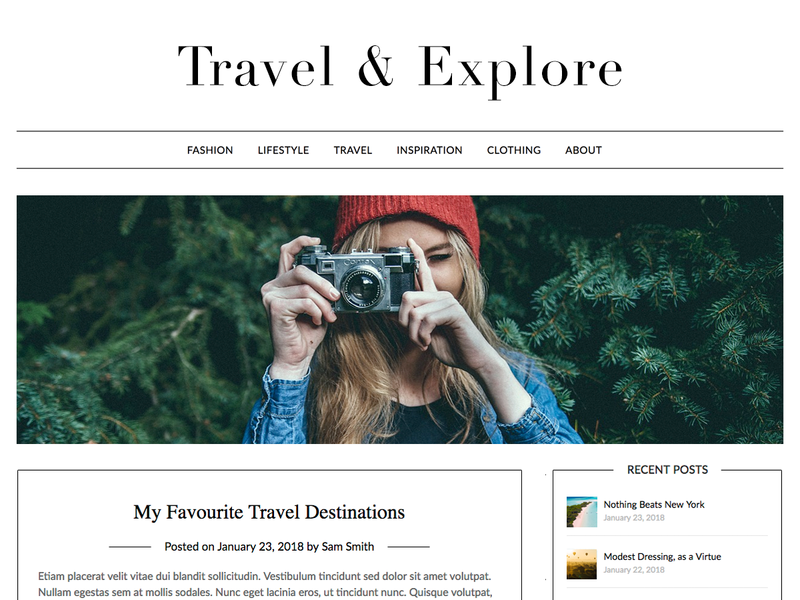 Travel Minimalist Blogger is of course modern in the ways that it is both fast and search engine optimized (SEO friendly) as a theme should be nowadays. The sidebar allows widgets, adsense affiliate links or whatever else you wish to put there. Installing and setting up the theme is simple for any author, we have tried to optimise the user friendliness by making the interface clean and so it as easy as possible to set up and start using. If the business aspect is important for you, for example if you are using it as a newspaper or personal writing/journalist portfolio then it’s great since your website is able to rank everywhere on the internet with our theme, for example in Yahoo, Bing or Google.